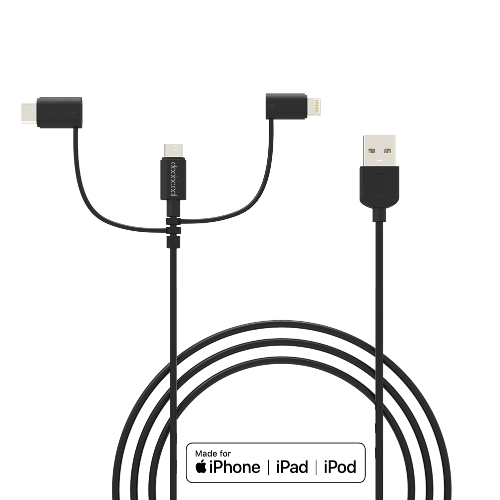 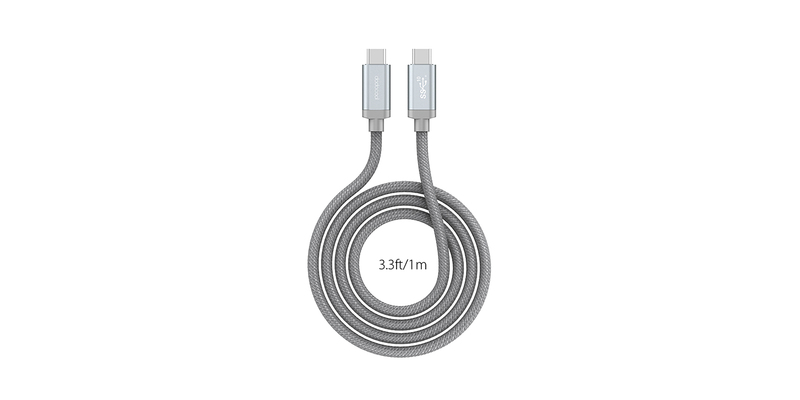 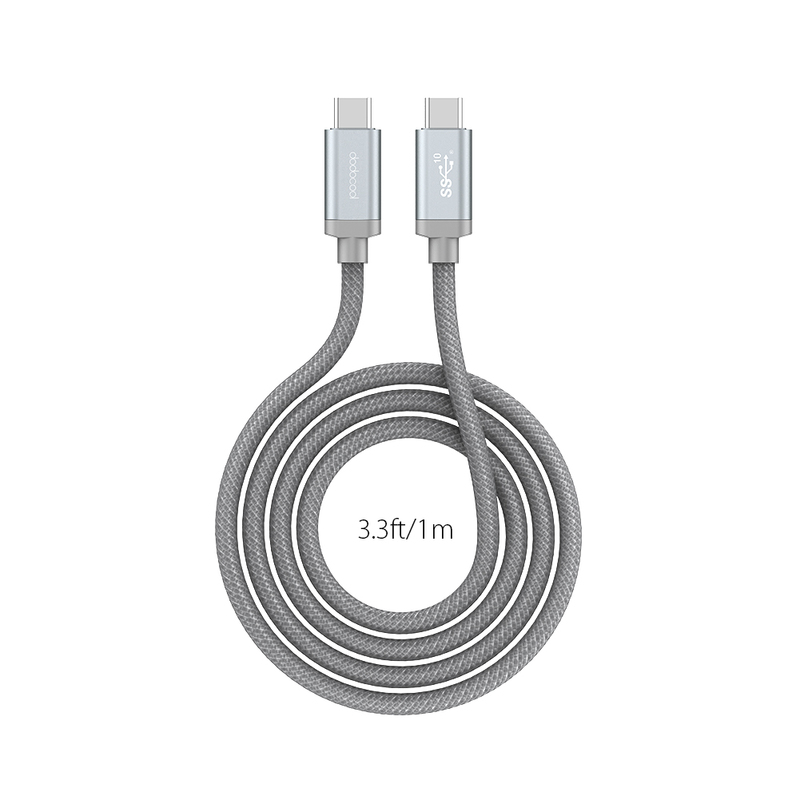 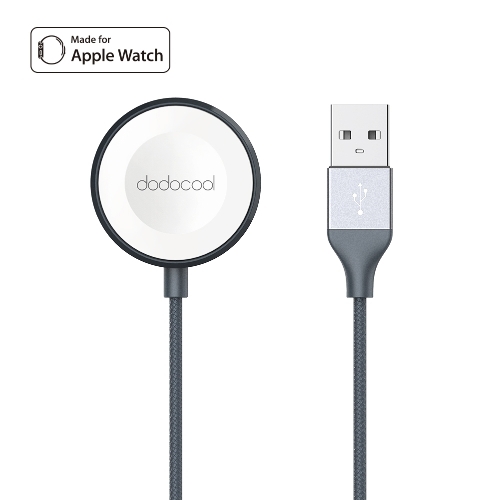 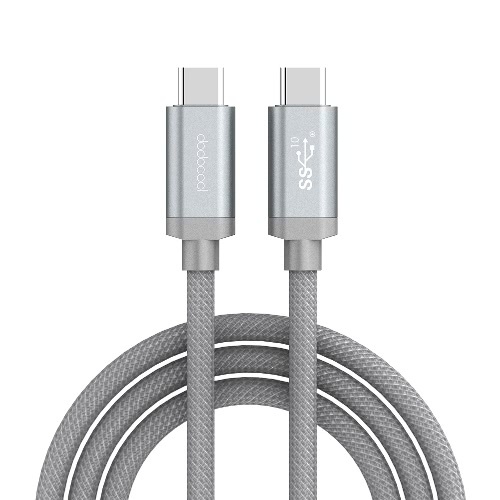 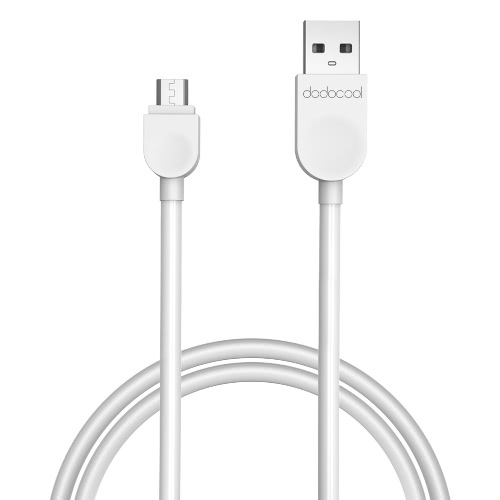 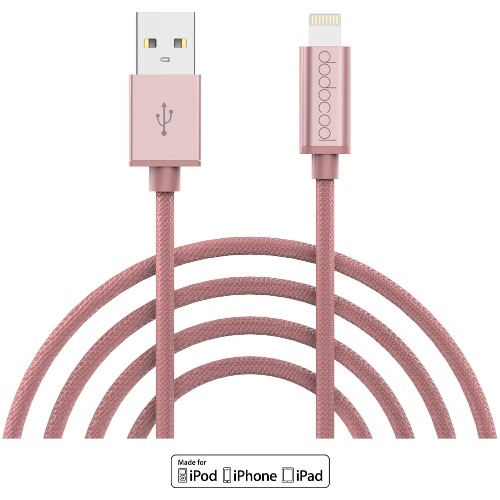 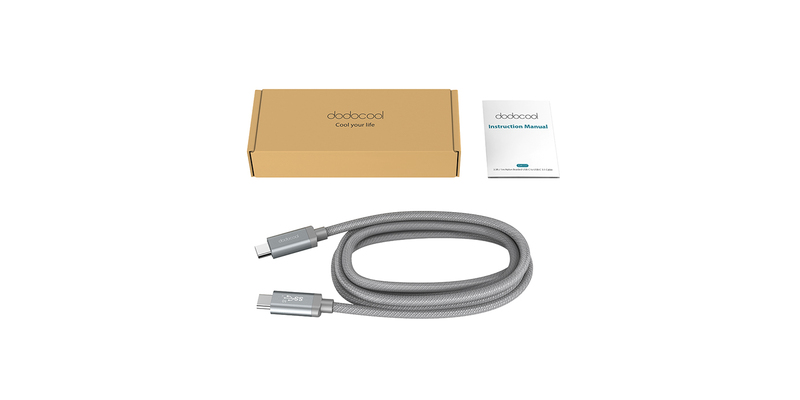 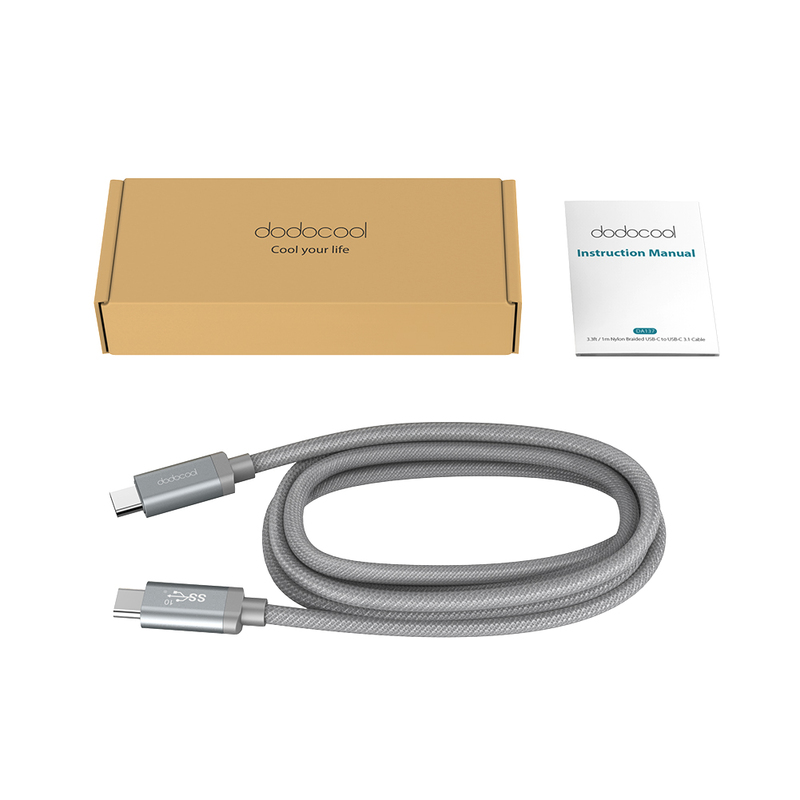 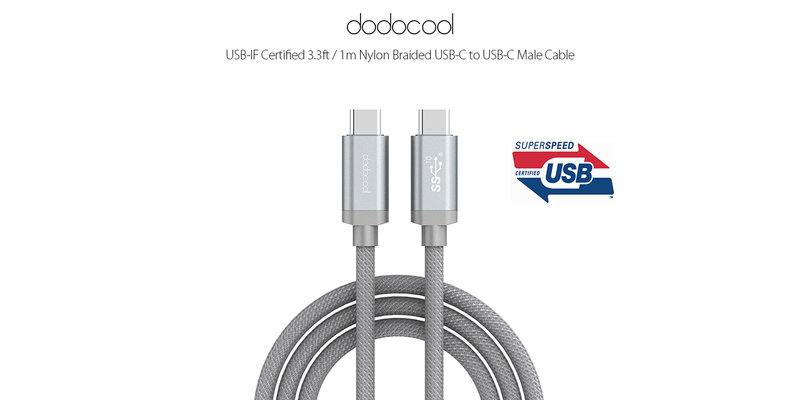 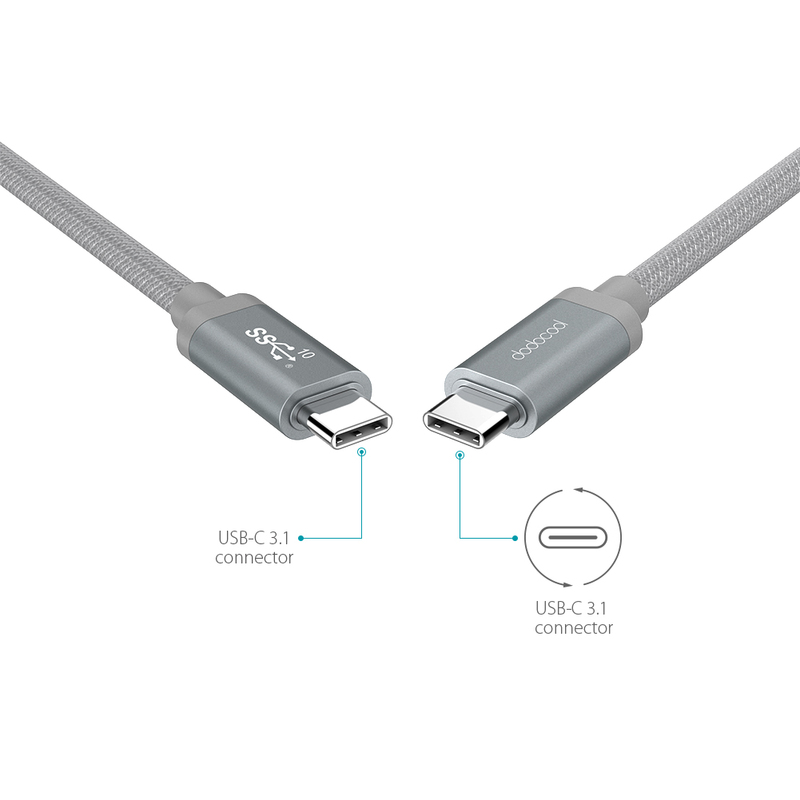 dodocool 3.3ft / 1m Nylon Braided USB-C to USB-C 3.1 Male Cable lets you connect your device with USB-C port to your computer's USB-C port for syncing and charging or to a USB-C power adapter or power bank for convenient charging. 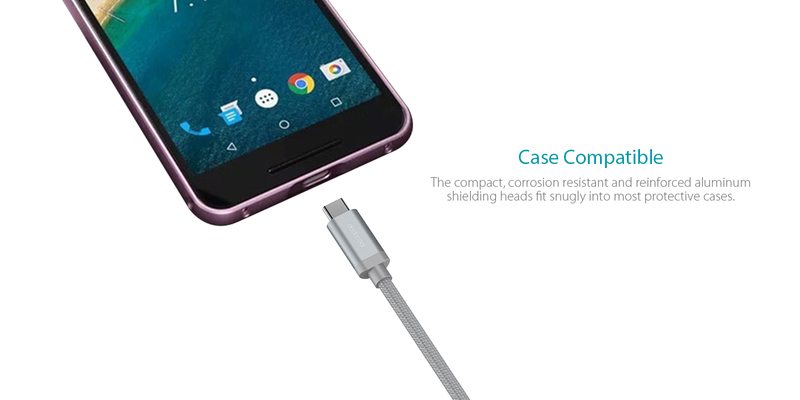 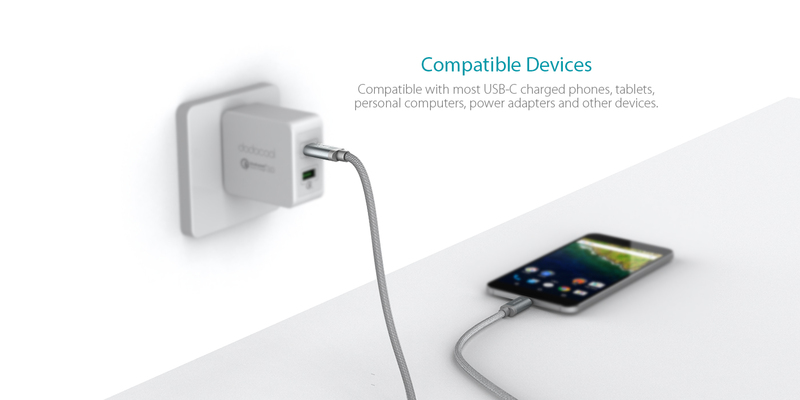 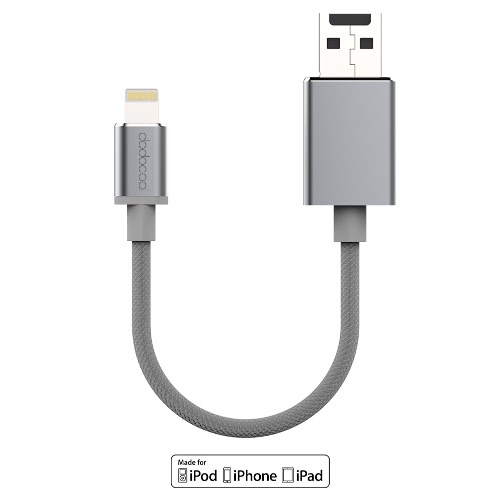 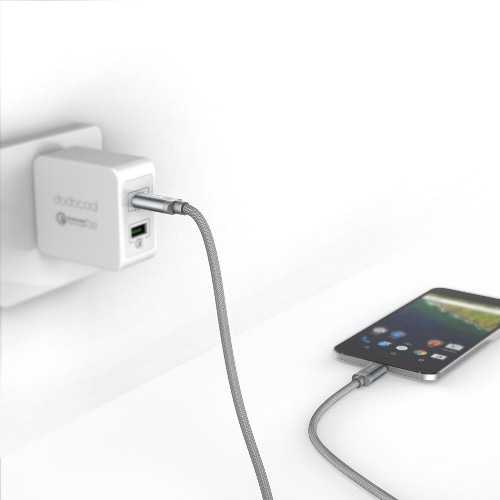 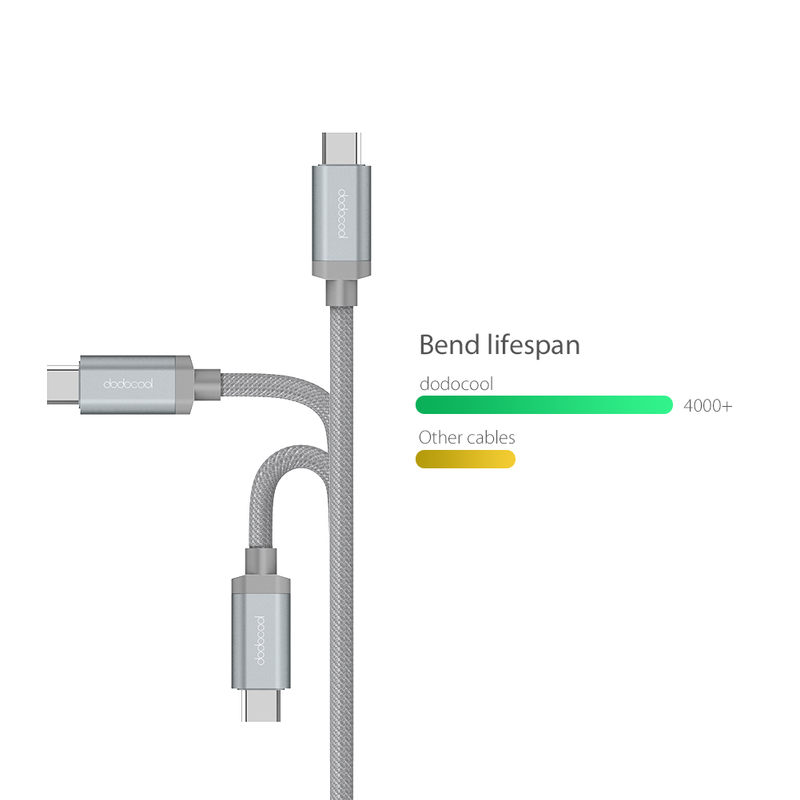 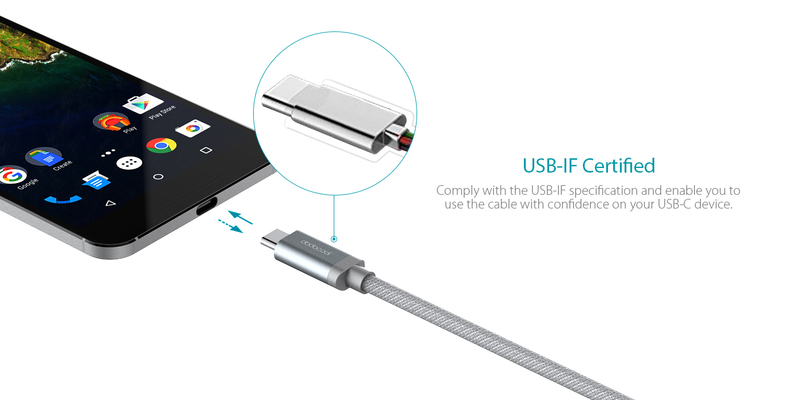 The reversible USB-C connectors enable more convenience in plugging. 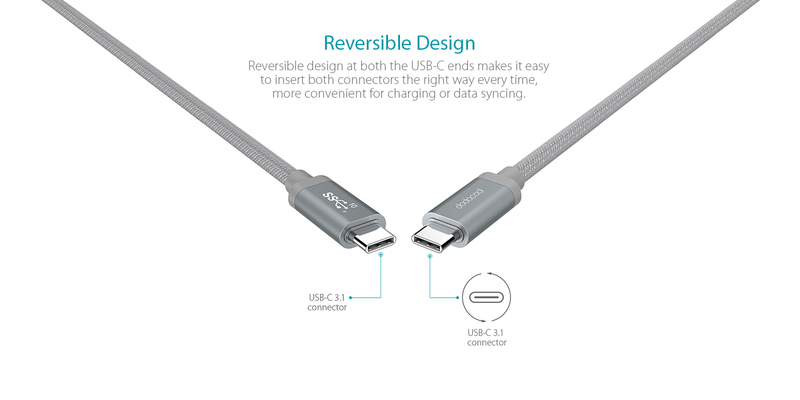 Reversible design at both the USB-C ends makes it easy to insert both connectors the right way every time, more convenient for charging or data syncing. 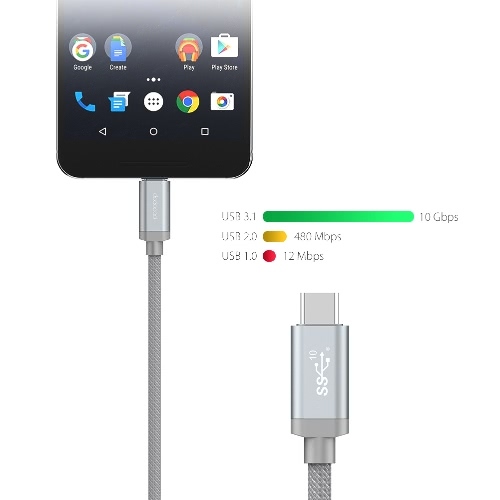 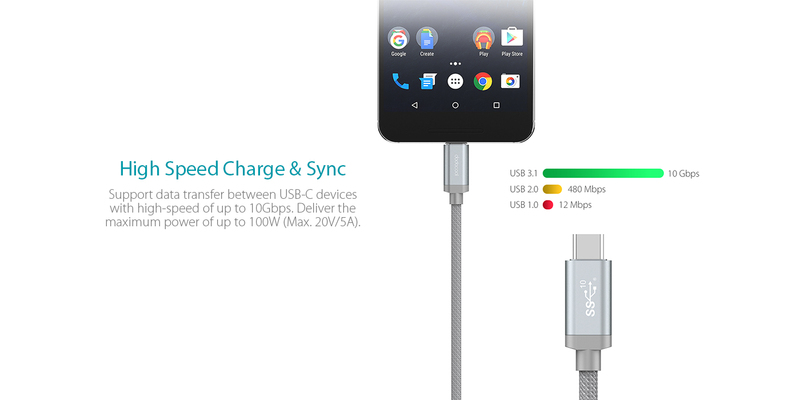 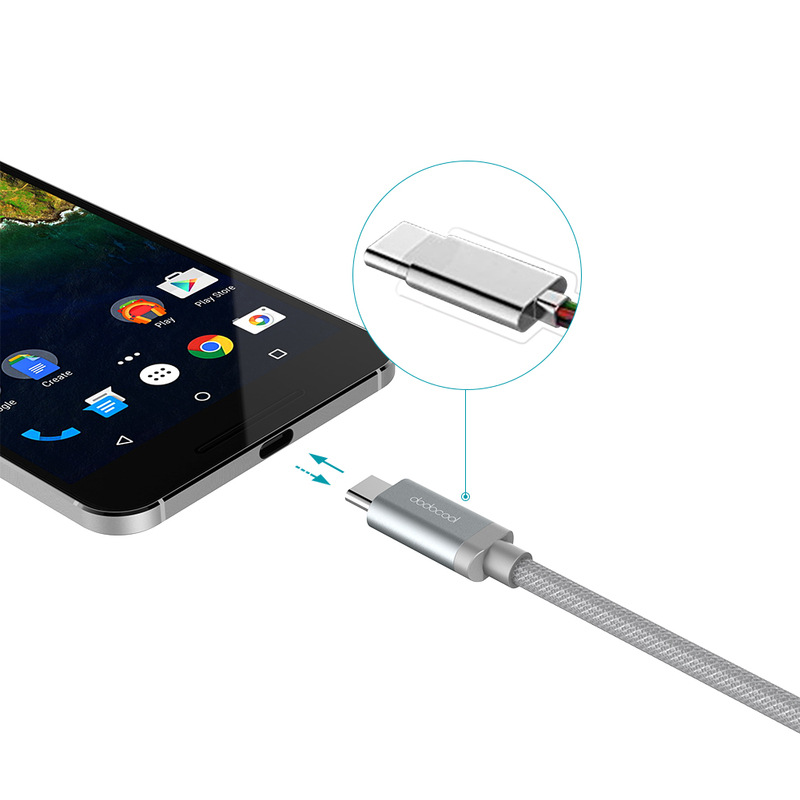 Support data transfer between USB-C devices with high-speed of up to 10Gbps. Detect the connected USB-C devices automatically and deliver the maximum power of up to 100W (Max. 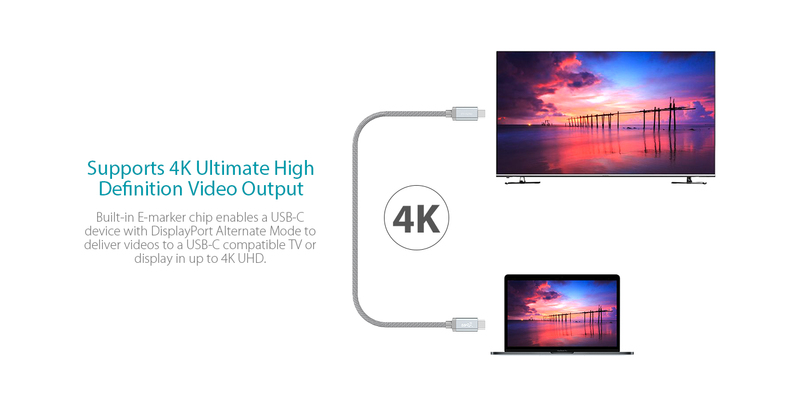 20V/5A). 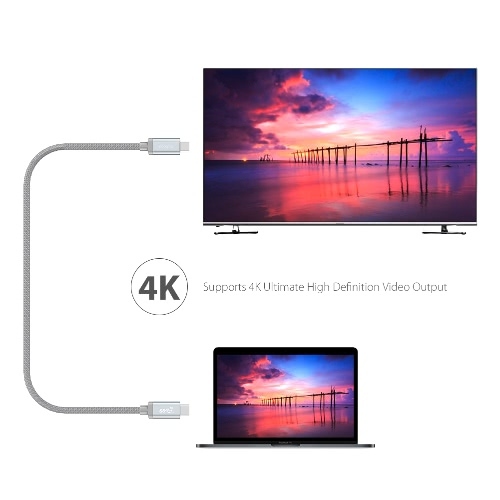 Built-in E-marker chip enables a USB-C device with DisplayPort Alternate Mode (such as MacBook Pro) to deliver videos to a USB-C compatible TV or display in up to 4K UHD. 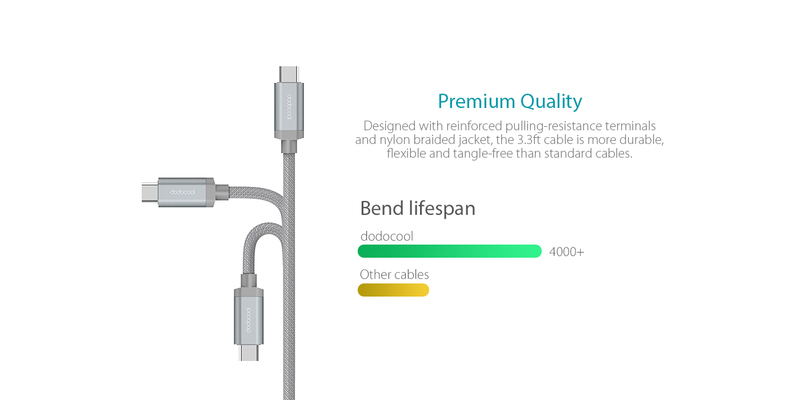 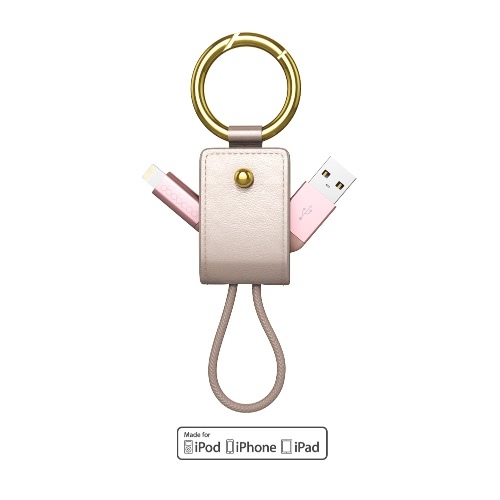 Designed with reinforced pulling-resistance terminals and nylon braided jacket, the 3.3ft cable is more durable, flexible and tangle-free than standard cables.